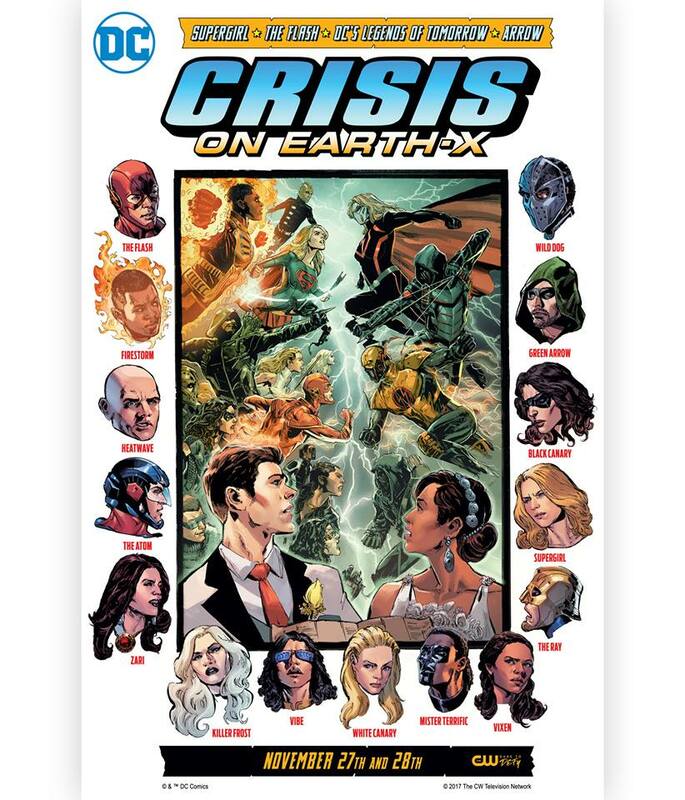 First Details On This Year’s 4-Part Crossover Event Titled Crisis On Earth X! The title and story of this year’s four-part crossover event between “Arrow,” “The Flash,” Legends of Tomorrow” and “Supergirl” has been revealed, and it sounds like a doozy! The Flash, Arrow, Supergirl, and DC’s Legends of Tomorrow will join forces in a crossover event called “Crisis on Earth X,” which begins production today. In this year’s crossover, all of the superheroes come to town for Barry (Grant Gustin) and Iris’ (Candice Patton) wedding; however, villains for Earth-X crash the festivities with a deadly agenda. “We conceived this year’s crossover to be evocative of the annual Justice League/Justice Society crossovers we grew up with and looked forward to as kids,” said executive producers Marc Guggenheim and Andrew Kreisberg in a statement. These crossovers have yet to disappoint me, and “Crisis on Earth X” just looks to up the ante on them, as seeing our heroes face off again their evil counterparts is going to make for some amazing superhero TV action! This year’s crossover event begins on Monday, November 27th!